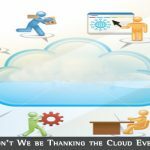 Chances are, you’ve heard about this little thing called “the Cloud,” a concept that’s been highly touted to provide enterprises with flexible and affordable solutions that are based on the Internet. If your business has its data and applications still firmly entrenched in on-premise storage and infrastructure, and you’re considering a move to the cloud, then migration should be one of the items at the top of your task list. 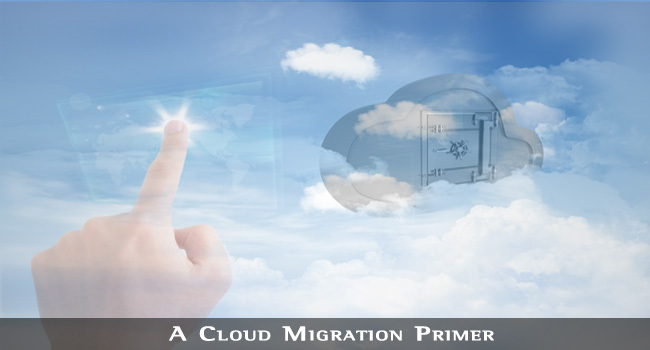 Check out some important things you would need to consider once you start migrating to the cloud. Having your data assets managed in your own facility is an entirely different thing from having some of them or even most of them handled on the cloud. You need to prepare yourself first by becoming more familiar with the processes involved. Familiarize yourself (along with your IT team) with the intricacies of the various distribution modes of cloud computing: SaaS (software as a service), IaaS (infrastructure as a service), and PaaS (platform as a service). There are other resources you can find about migration, such as this RingCentral update that discusses some of the finer points of cloud-based IT management, so you might want to check it out as well. See Also: Investing on the Cloud? Read These Security Tips First. You don’t just decide which services or platforms will be sourced to the cloud, and this task certainly can’t be done overnight. Well, you could do it rather quickly, but you deprive yourself of the proper time and effort that it takes to come up with well-informed decisions. The primary focus of your analyses should revolve around how cost-effective a particular migration of a data asset would be for your business. In addition, you might want to identify certain cornerstones of your infrastructure or applications to keep in-house, especially if you’re still new to the cloud game and wary of all the uncertainties surrounding the solutions it provides. Which application or service should you move to the cloud? How does it impact your day-to-day operations as well as your flexibility in the long run? How will your financial outlook be affected if you decide to keep a particular asset on-premise compared to migrating it? These are just some of the questions you’ll face as you dig deep into your analysis. There are now many offices that don’t have clear-cut workplaces in the sense that one person might be doing work on a different device as another. This is especially true for telecommuters and home-based teams. When you’re considering a move to the cloud, it is important to take these different devices into consideration to ensure that they will be supported by your new cloud service. It’s a good thing that cloud providers are already taking the necessary steps to accommodate today’s mobile devices from mobile phones to tablet PCs, so this shouldn’t be too much of a worry for most enterprises. Still, it would be prudent to take everything into account before actually making a move to the cloud. So, are you ready for your cloud migration? If you’re willing to take the plunge, the cloud has a ton of benefits for you and your business. Just make sure you are completely prepared and that you’ve considered every step carefully. Henry Conrad is a 29-year-old game developer from Albuquerque, New Mexico. Aside from gaming and being a tech junky, he also dabbles in creative writing, which allows him to create great storylines and backgrounds for his characters. Of late, the idea of cloud computing is really getting popularity among a huge list of business owners. It helps in managing your computing resources much easier and faster than before. As you know the technology is growing with a higher pace, getting updated upon the same need a proper media. Luckily with sites like http://www.cloudwedge.com you can always remain abreast with cloud computing the most. I often refer this site and keep myself updated about the cloud and other technological stuff.